Harrison Brook Harrison Brook is the leading international online broker of expatriate financial services, products and expat financial advice. Home Advice How to leave British Airways Pension Scheme? 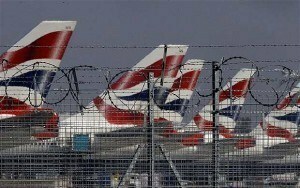 How to leave British Airways Pension Scheme? Previously worked for British Airways? Want to leave British Airways Pension Scheme? If you are reading this article then it will be no surprise to you that the British Airways pension scheme has been experiencing serious financial difficulties. At Harrison Brook, we receive inquiries from deferred members wishing to leave British Airways pension scheme. As such, we have created this dedicated article to helping people understand the pension transfer options available to them. 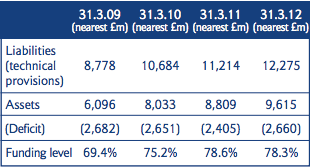 As of 2014, the British Airways’ pension scheme has a deficit which stood at approaching £4bn in 2009 is now less than £3bn. But reducing it has come at a cost to pensioners and current BA staff alike. At Harrison Brook, we have been monitoring the situation closely for our clients and will continue to do so. British Airways has seen a £100 million increase in the deficit of its two defined benefit (DB) pension schemes since 2010. Put simply, the prospects are not good and many scheme members would prefer to take control of their retirement and leave British Airways Pension Scheme. How to leave British Airways Pension Scheme? What is the solution…? If you have savings in existing UK pension funds but are considering retiring abroad, you may be wondering just how easy it will be to access these funds. The dreams of a more relaxed lifestyle or the attraction of lower tax could soon fade if you have to work around pension rules more relevant to the UK. However, if you already live outside the UK, or you’re planning to move overseas shortly for a period of five years or more, you can use a QROPS. This will allow you to transfer your pension arrangements abroad. If your intention is to retire in the UK a SIPP structure would be more suitable. What are the benefits of a QROPS? If you die, your family will be able to inherit your pension benefits free of the lump sum death benefits charge. A wider choice of investment opportunities – particularly useful if you want to invest in different assets and currencies depending on where you plan to retire, rather than UK-biased choices. Nevertheless, the pension income payments can be matching the currency you are spending. 30% Pension Commencement Lump Sum – through a QROP based structure an increased % percentage is available as your tax-free lump sum payment. Dual Taxation Agreements (DTA’s) are an option in place between your chosen retirement location and a QROP jurisdiction – which means the investment aspect of your pension will grow free of any taxation and pension withdrawal payments are paid gross. QROP Investment Portfolio can be structured for capital growth or income generation – get your capital working harder for you. Consolidate various/several pension schemes into one manageable plan for easy management. From April 2015, certain QROP jurisdictions (Malta & Guernsey) will allow full flexibility when the UK regulations are effective. In addition, QROP jurisdictions will allow full access to pot value above your tax-free lump sum allowance. This means you are not restricted to benefit provision. What should you consider before choosing a UK Pension Transfer? Residency considerations – do you expect to return to the UK to retire or for long periods of time in the future? A SIPP may be more suitable in this situation. Existing pension arrangements – is your current British Airways pension plans worth less than £20,000? Are you current pensions defined benefit schemes? Do your existing schemes include benefits such as spouse’s pension, life cover, competitive charges? Our team would assess any pension transfer in a feasibility study. This will help you understand what your current scheme offers in details. UK annuities usually end when the recipient dies, leaving no extra money for family or beneficiaries. With a QROPS or SIPP, since you don’t need to buy an annuity, your fund won’t vanish when you die. Instead, you can pass it on to your loved ones. UK pension transfers is a growing market, and new providers are appearing regularly. Talk to a Harrison Brook Financial Adviser to make sure you choose the most appropriate jurisdiction and provider for your needs. Additionally, your SIPP or QROPS will include different kinds of investments. Therefore, it is crucial to speak to a Financial Adviser to match your investment goals. Why choose Harrison Brook for leaving your British Airways Pension Scheme? We offer discounted SIPP & QROP fee structures through our online advice system – we pass the savings onto you. ‘Trust’ based or ‘Contract’ law SIPP or QROP structures available to maximize your tax efficiency. Globally regulated advisers from a European compliance base. Quarterly Review Meetings – Ongoing advice and management. No restrictions on client location. Access to institutional high rate deposit accounts and structured fixed return products. Access to funds that have been handpicked by investment specialists in model portfolios. Not to mention, which we will structure for capital growth, income generation or both. Harrison Brook is one of very few financial advisory firms which can cater for regulated pension transfer cross-border advice in the UK, Europe and abroad. Allowing us to cater for QROP and SIPP transfers depending on a clients retirement intentions. Simply ‘Get Started‘, speak to an adviser today for free, no obligation, financial analysis, and information tailored to your situation. Learn how to leave British Airways Pension Scheme by contacting us. Harrison Brook is the leading international online broker of expatriate financial services, products and expat financial advice. Need a Financial Consultant in Italy? 'Harrison Brook Limited' is registered in England No: 08587690 & 'Harrison Brook France' is a registered branch of ‘Harrison Brook Limited’, immatriculation au R.C.S Antibes ‘838 461 325’.